When Eric Schmidt is praising your accomplishments, you're doing something right. 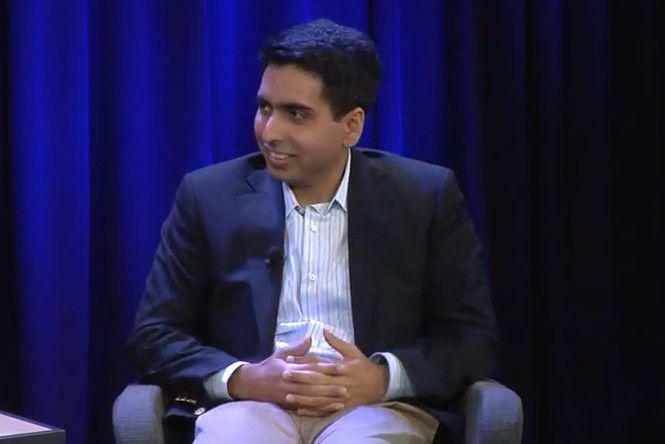 Education speaker Salman Khan recently sat down with the Executive Chairman of Google to discuss his newly-released book, The One World Schoolhouse, and the growth of the Khan Academy. "It may very well be that Salman Khan becomes the most important educator in the entire world," said Schmidt. The recognition is well-deserved given that Khan's breakthrough video-based education program now teaches over 4.2 million unique students per month. When he first started, Khan was using a simple USB headset and Microsoft Paint to do his lessons—and he was teaching a few of his cousins, instead of millions of strangers. But the more videos he created, the more he was inspired to expand his library and broaden his topics. Today, he has published over 3,000 videos. "It eventually became this Forrest Gump, can I race across America type of adventure," Khan said. First, he decided to "do all of mathematics." Then he did physics, then English, and eventually he even created a seven minute analysis of mortgage security and an explanation of the financial crisis. While he didn't initially intend to be part of an education revolution, the substantial growth and tremendous support behind his work has sparked an international discussion about how we teach our children. In his book, and in his inspiring keynote talks, Khan is "flipping the classroom," by favoring in-class practical work with at-home video lessons, instead of the traditional system—which is the complete reverse. His forward-thinking ideas and teaching strategies are helping to reshape the educational system so that everyone, everywhere has the ability to learn—and learn well.